Whether they’re designed to improve mobility, reduce pain, or manage the heart’s rhythm, medical devices can help those with long- and short-term health concerns manage their symptoms and live fuller lives. At Rainwater, Holt & Sexton, we’ve seen how effective medical devices can be when it comes to relieving symptoms and reducing pain. But we’ve also seen how they can cause potentially life-threatening complications when they’re designed poorly or manufactured with inferior parts and components. 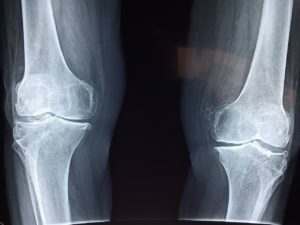 Joint replacement devices – Multiple companies make replacement devices for knees, hips, and other joints. Those devices are designed to reduce pain and improve mobility, but some models are prone to widespread problems and failures, including the tendency to break down inside the body and release toxic particles into the bloodstream. Birth control implants – Birth control devices and procedures, including IUDs, are marketed as a convenient method of family planning; however, they can be linked to numerous unintended health complications, including uterine perforation, bleeding, and pain. Pacemakers – More than a dozen pacemaker models released prior to May 2015 were recalled by the U.S. Food and Drug Administration after reports began linking them to early and unanticipated battery failure, leaving patients at risk of suffering potentially fatal cardiac events. The big corporations that design, manufacture, and market these devices can be held accountable when their products are defective and unreasonably dangerous and hurt people. If you or someone you love has been harmed by a defective medical device, we can help. It is our goal to help you get deserved compensation for persons injured by defective medical products. Call today for a free consultation.